The Armand de Brignac Gold Champagne is a full-bodied Brut celebrated as much for its fruity palate as it is for its gleaming gold bottle, this is Armand de Brignac’s flagship cuvée. 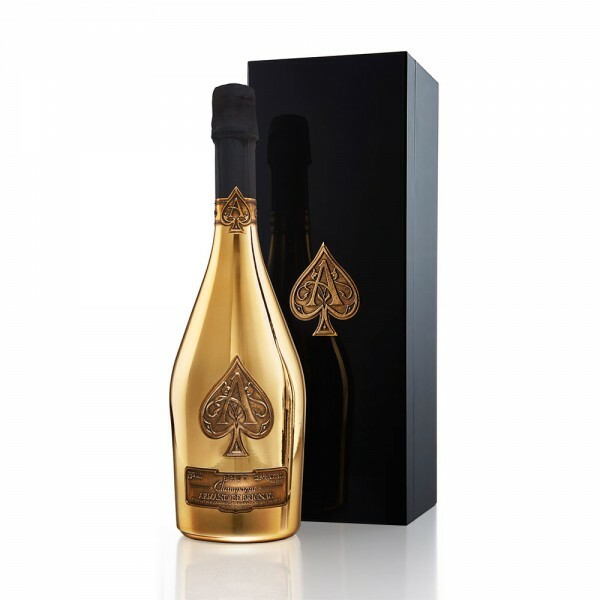 This Champagne also known as “Ace of Spades” is produced by the Cattier family estate who has a history in wine since 1763. Armand de Brignac Brut Gold has been voted the No. 1 Champagne in the World in a blind tasting of 1,000 brands. With subtle tones of brioche, flowers and ripened fruits matched by the deliciously creamy texture of the Champagne, the Gold range is the only proof needed to acknowledge that this is the true Ace in their pack. Take the plunge. It really is worth it.